You may have had house guests from time to time. I know I have. With family and friends spread all the way from Puerto Rico, New York, Texas, and Boston we have a great share of house guests year round. Specially during the summer and holidays. I love having people over and get to give them some love. One of the things I make for them is a gift basket filled with bathroom essentials. 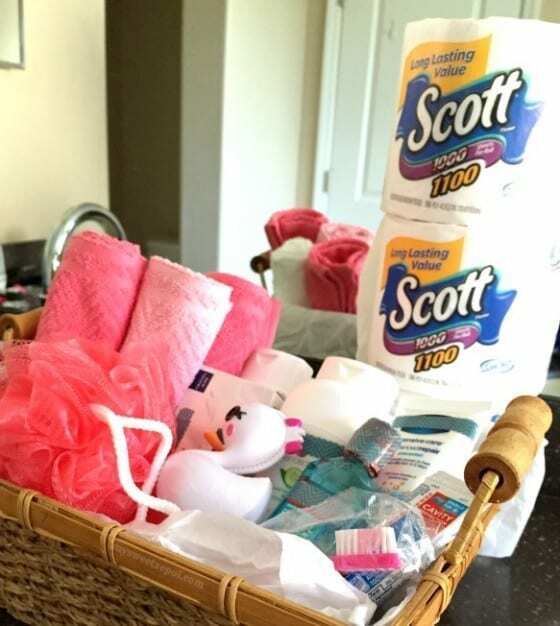 The basket is usually customized to each guest. It’s something they appreciate and makes them feel welcome, something very important to me. You will have lots of fun making them and will be looking forward to it every time you have a new house guests, trust me. 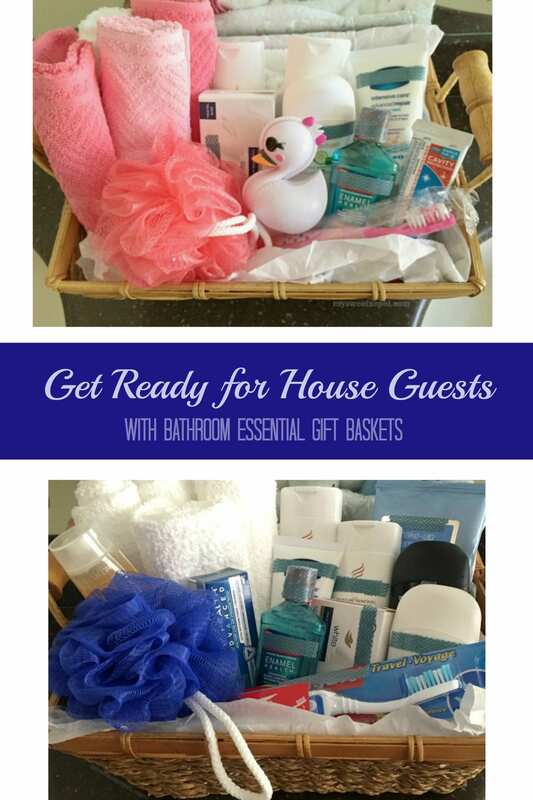 I am sure your guests will love them, mines do and they always comment on how welcome and special they feel once they see their basket. It’s a resort experience with the perks of being in a loved ones home. Yours! For grandma have her favorite hand cream or her favorite shampoo & conditioner brand. For grandpa have a shaving cream and find a shaving brush, they make a great combo. For kids coming over like your niece or nephew have a toy or comics in the basket. 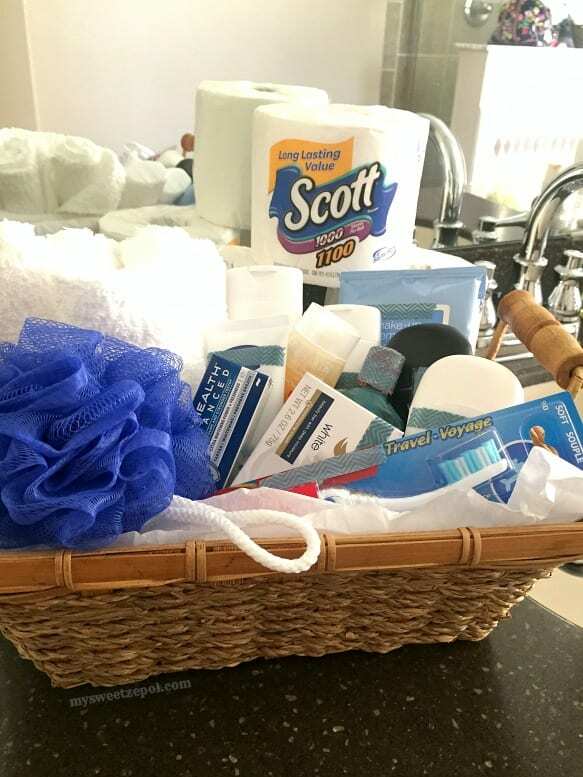 If your guest is new in your house, don’t stress, go with the basic bathroom essentials. 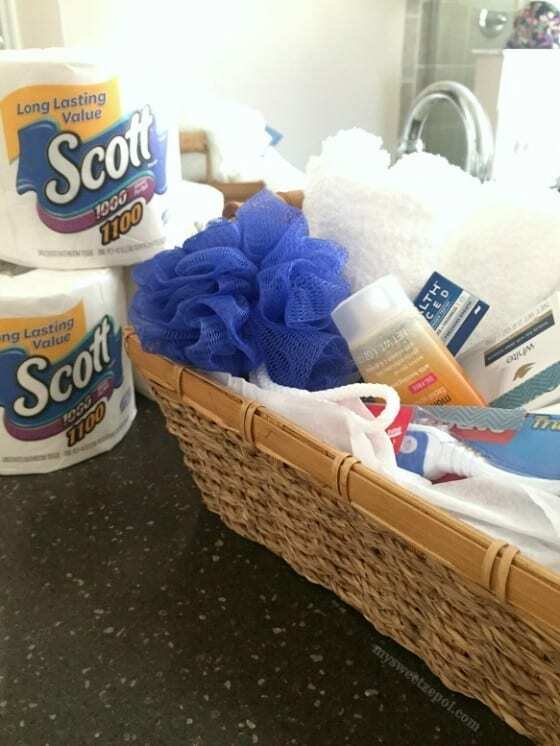 Always remember to stack a couple of bathroom tissue rolls next to your basket. That way they are not wondering where to find one when needed. While running some errands at my local BJ’s Wholesale store I came across one of my favorite brands and just had to grab it. A bath tissue paper with a great combination of performance and value. 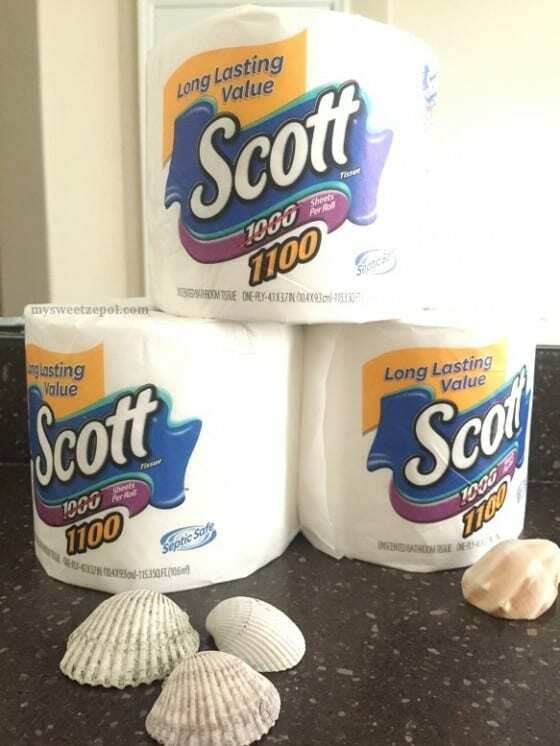 SCOTT® 1100 Bath Tissue. A long-lasting toilet paper with all the value you expect from a brand like SCOTT®. Plus, you get 100 more sheets per roll and can you believe it’s only $23.32? It’s a winner in our house! 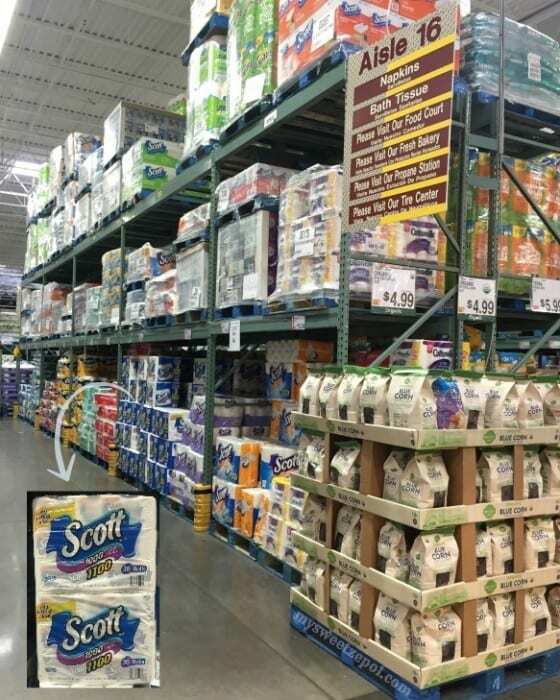 SCOTT® 1100 Bath Tissue provides honest, practical value with persistent performance sheet after sheet. So, make the smart choice for your family. Choose SCOTT®1000 Bath Tissue, a quality brand that brings your family consistent value that lasts. Did you know that SCOTT® Bath Tissue rolls have never reduced sheet count and have kept consistent quality for over 100 years? 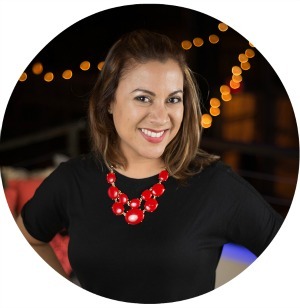 I think that it’s a great product and a great value. But, I have even better news for you. To make the purchase even sweeter, search for the Scott 1100 coupon here (Offer valid through 7/31/2016). Now, that’s a win-win. Now, tell me, how do you welcome your house guests? Let me know in the comment section below. Can’t wait! Me encantó la idea. Super practica y bonita para consentir a nuestros invitados. Gracias Gilda por tu comentario. Cuando mi mami viene de visita siempre busca por su canasta. Le gusta ver los productos que escoji para ella. Es como abrir un regalito. Muy buena idea lo de la canasta de productos y muy buena la oferta. Que buenas ideas! A mi también me encanta preparar la casa con detalles para nuestros invitados y que se sientan especiales y cómodos. Tomé nota para la próximas visitas que reciba.